1. It will boost up economic unification of India. 2. It will assist in better conformity and revenue resilience. 3. It will evade the cascading effect in Indirect tax regime. For instance, when a paper making company produces registers, the Central Government charges an excise duty on them as they leave the factory. Whereas on the lower end of the supply chain i.e. at the retail level, VAT is charged, without giving credit of the excise duty levied earlier. But in GST system, both Central and state taxes will be collected at the point of sale. Both components (the Central and state GST) will be charged on the manufacturing cost. 4. It will certainly reduce the tax burden for consumers. 5. 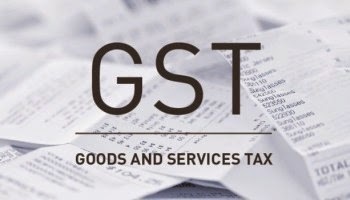 It will result in a simple, transparent and easy tax structure; merging all levies on goods and services into one GST. 6. It will bring uniformity in tax rates with only one or two tax rates across the supply chain. 7. It will result in a good administration of tax structure. 8. It will increase tax collections due to wide coverage of goods and services. 9. It will result in cost competitiveness of goods and services in Global market. 10. It will reduce transaction costs for taxpayers through simplified tax compliance. 11. It will result in increased tax collections due to wider tax base and better conformity. Also check Detail meaning and Features of GST Bill (Goods and Service Bill).